So I reflect on my own efforts to live a reasonable life-work balance with gratitude for my privilege and renewed determination to change the material conditions that keep many women on a treadmill of underemployment, low wages, inflated external pressures, and the resultant stress that has negative implications for mental and physical health. All of the mentoring in the world cannot erase the differences in a kyriarchal society that assure some people will thrive and others will squeak by at best. Part of my life’s work is to be actively engaged in those struggles—antiracism, economic justice, etc.—so that all women can thrive. I work fulltime in a small nonprofit educational organization, WATER, the Women’s Alliance for Theology, Ethics and Ritual, whose mission is to bring feminist religious values to the service of social change. The downside is that salaries and benefits are relatively low because we work in a niche market. The upside is that hours are flexible, the office is a pleasant short drive from my home, and the work is endlessly interesting, rewarding, and, I like to think, useful. While my workplace differs from the usual academic setting, the demands of teaching (online), advising, interns, letters of recommendation, boards, research/writing are the same, with the added challenge of having to fund the operation. It is not everyone’s cup of tea, but it remains a lively, fruitful arena for my interests and skills. Two practical strategies help me to stay on a relatively even keel. One is to take a month off every year. 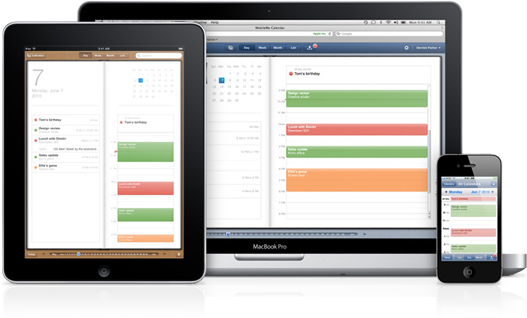 The other is to rely heavily on synchronized technology for personal organization. Failing to do either is my personal recipe for disaster. In August of each year, come hell or high water, the WATER office closes. We unplug everything and do something entirely different. I spend time with extended family, travel, attend to household matters, catch up on reading, exercise, and relax. Requests to participate in professional activities are generally nixed for the month (rare exceptions occur). School starts late in August for my child, but I extend my leave until after Labor Day to reap maximum benefit from the time off. I return refreshed and renewed, ready to dive into a busy fall with a positive attitude and some reserve energy. The few years when I have not taken August off have been difficult. By mid-October, my energy flags and my productivity falls off. August may not work for academics, and money can be an issue. But taking several weeks off every year—European style—when the demands of the job fade and another form of life takes over is a rehearsal retirement, a necessary luxury. A second tip is to use technology as much as possible. With computers, smart phones, iPads, and the like all synched up, I have come to rely heavily on them to keep me on track. Interns update me on the technology, for which I am grateful. Of course none of the hardware is much help if I do not input data scrupulously and check what is on the day’s docket. But if I do my small part, my dear devices give me no excuse to miss a meeting, a phone call, a birthday, or even the latest headline. What did we do before these extra brains? I embrace them without addiction but with gratitude. Life-work balance is elusive at times, and always conditioned by privilege. But learning one another’s techniques is a surefire way to move toward it. Taking time and using technology helps me. I look forward to learning what works for others. Mary E. Hunt is the cofounder and codirector of the Women’s Alliance for Theology, Ethics and Ritual (WATER).